In Tampa FL, August is our winter; not only the hottest month, but the wettest. So, most of our trails are 100 yards followed by a dicey at best water crossing. Might be a foot deep, might swallow a GSA. Makes riding loops almost impossible. 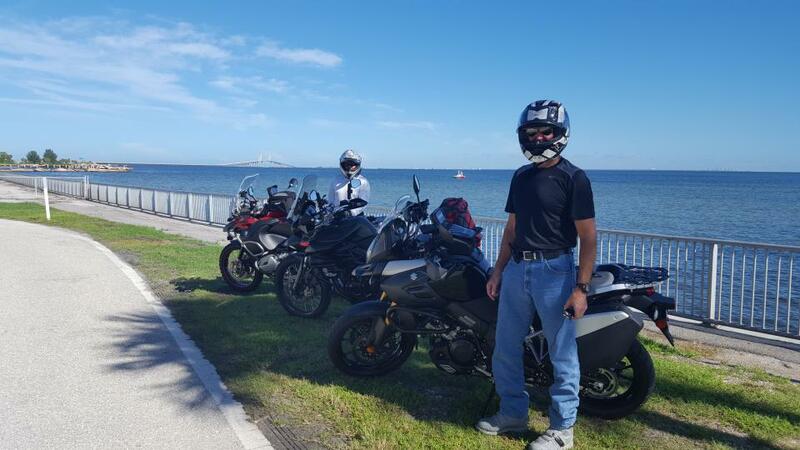 I wanted to ride with buds, so we did a street run around old Tampa Bay and up the coast (St. Petersburg & Clearwater Beach). 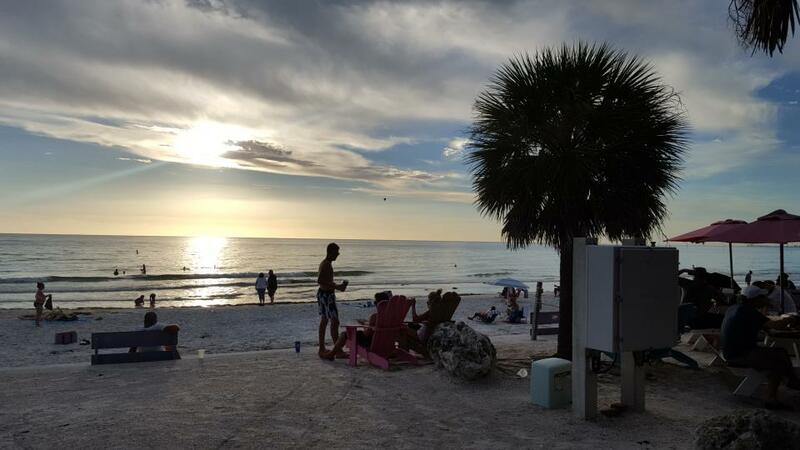 It turned out to be a dry day and not all that hot (by Florida standards). You Colorado and Pac NW guys would have melted. 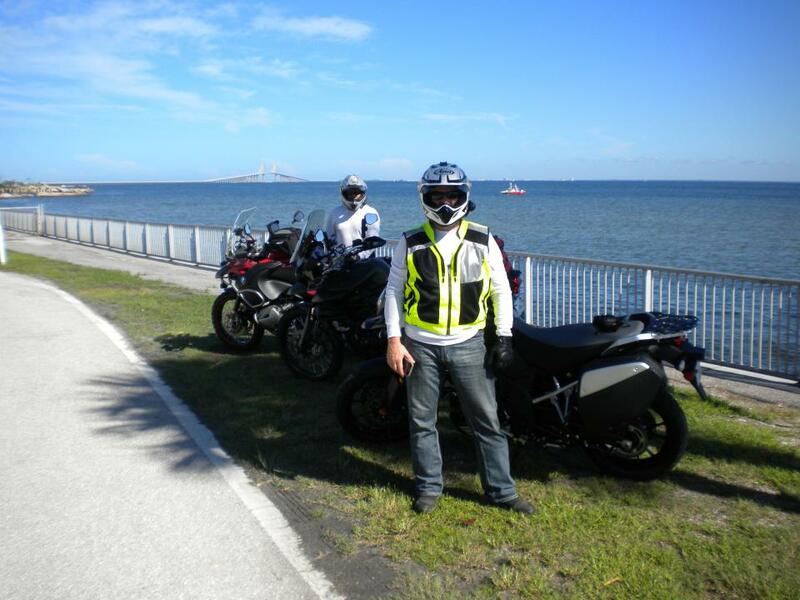 John & Pablo, looking NW towards the Sunshine Skyway Bridge. They show this bridge in a lot of shows/movies for Miami, even though it's 5 hours from. 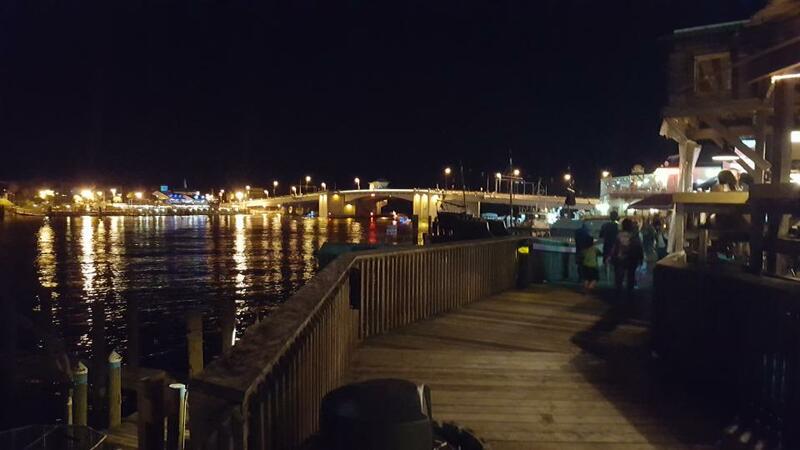 This replaced the old bridge that was struck by a ship, where cars went into the water when the accident occurred. 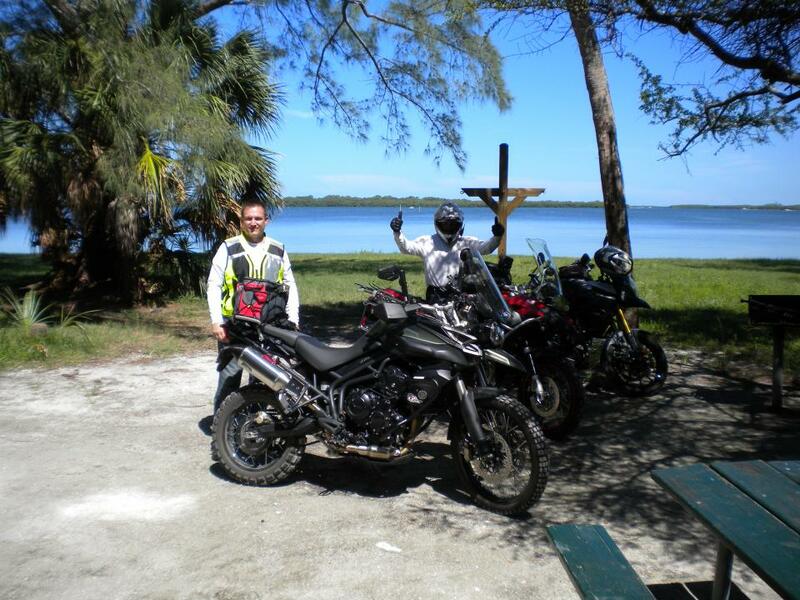 About half way through, we stopped at Fort Desoto Park for a swim. Water is awesome this time of year! Probably 85+ degrees. Not a huge fan of street rides, but the worst day riding is better than the best day in the office, right! Soon our killer winter weather will be here and we'll get to ride as much as we can handle. 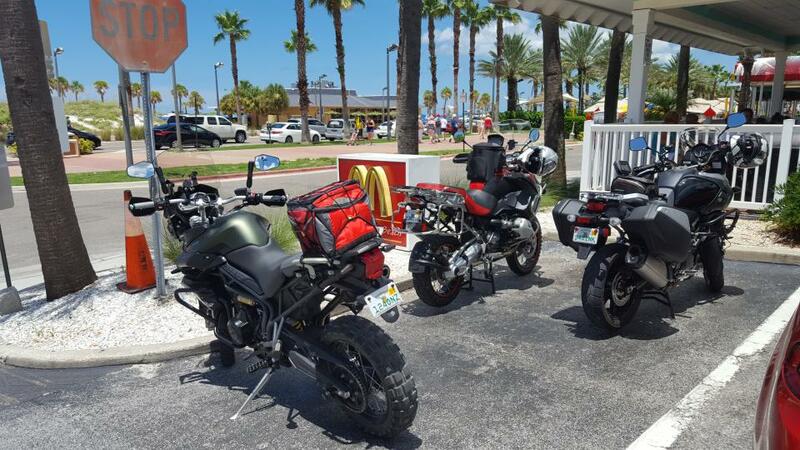 MickyDs stop at Clearwater Beach. Can't believe how the bikini babes ignored all the crotch rockets and cruisers, gathering around our bikes to meet us. ADV bikes baby! Not from the ride, but drove back down to the beach that evening with the family. Nice end to a fun day riding with good people. Looks like more fun than work... Sorry I missed it. NICE PICS, now your making me HOME SICK. I'm pretty sure I've been under that bridge more than over it boating out to Egmont Key from Shell Point!! Oh yeah, I never mentioned I still have a boat in Florida huh? Need me to test drive it a few times a week; just to make sure she's working? It's in Ft Lauderdale now, I'm partners on it with a friend right now (thankfully) and have been trying to get out of it..... Boats, UGH! It's a perfect boat for Beer Can island in the bay and the Gulf for that matter if your interested (LOL), 24ft Hydra-Sport center with a Yami 4T. Bryan, just like you said: "worst day riding is better than the best day in the office". I couldn't agree more! I had a great time with you and Pablo. Fall is just around the corner and we will get our payback for putting up with this hellacious summer we had this year. This July was the hottest since 1932! Saturday was warm, but the fairly low humidity made the ride pretty pleasant. 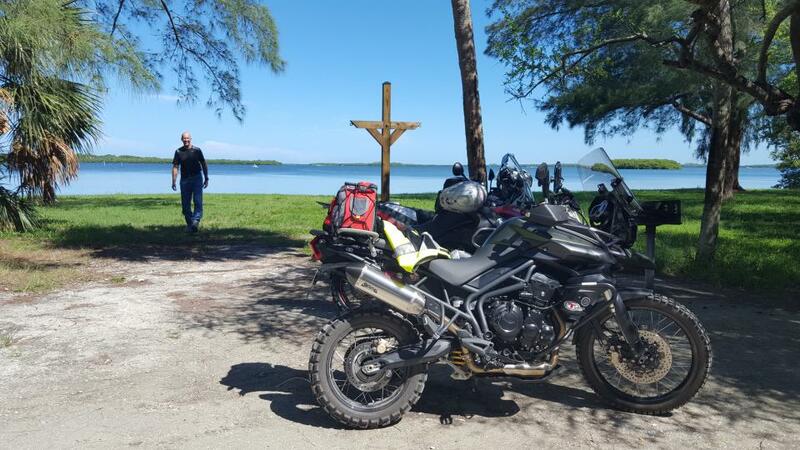 Next time you start to overheat your legs on the Tiger, feel free to ask me to let you cool off on the V-Strom. Funny thing is, FL beach city councils must try to keep them out in favor of the local brands. It's the only reason I can think of why they aren't ever 50ft.